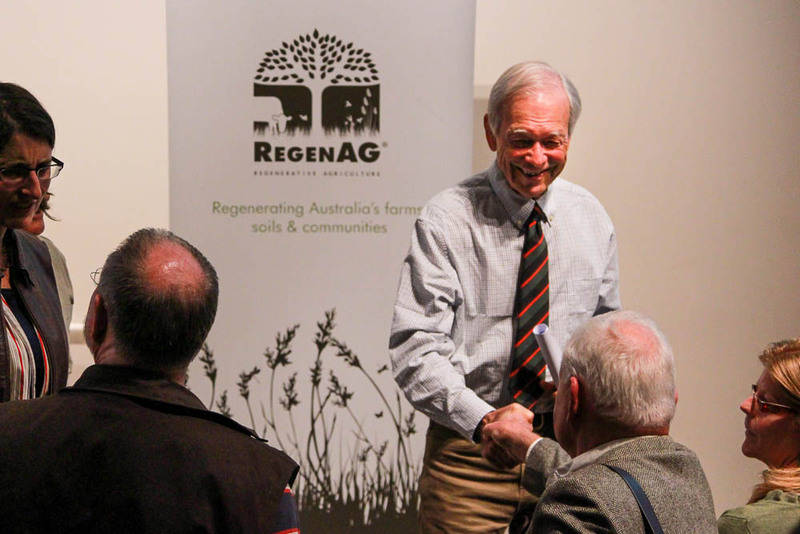 On Friday night Alex and I went to see him speak in person in an event hosted by Milkwood & RegenAg. It was a powerful and inspiring address. I don’t think anyone could leave the same way after hearing his life’s work and research into the devastating effects of agriculture on the environment and climate change and the restorative effects of well-managed livestock on “the brown lands” (the world’s largest combined land mass) facing desertification. What, livestock is good for the land? Somehow I grew up thinking livestock destroyed land, and likely you did too. However, let us be willing to consider this differently. Allan has spent more than 30 years looking at how lands across five continents in stages of desertification were able to be regenerated through the use of livestock carefully managed in herds that mimic nature. Instead of free-roaming across a big area of pasture, the animals are bunched closely together in way that makes them eat and trample down grasses effectively in a small area for a number of days before being moved on. This trampling down of grasses and plants, combined with the dropping of nutrient-rich manure, followed by periods of rest allow for healthy stimulation of the soil and thereby increasing its ability to naturally absorb and safely store carbon from the atmosphere. “Agriculture is the most devastating industry mankind has” Allan pains to reiterate to us. The combination of peaking resources, rising population, global warming and increasing areas of desertification are not to be thought about lightly – they are very real problems and jeopardize the health, safety and quality of life for much of the world’s population. Say nothing of conflict and exploitation that arises. There is no “silver bullet” solution for these complex global problems – and before anything, we must first address the processes by which we make decisions. 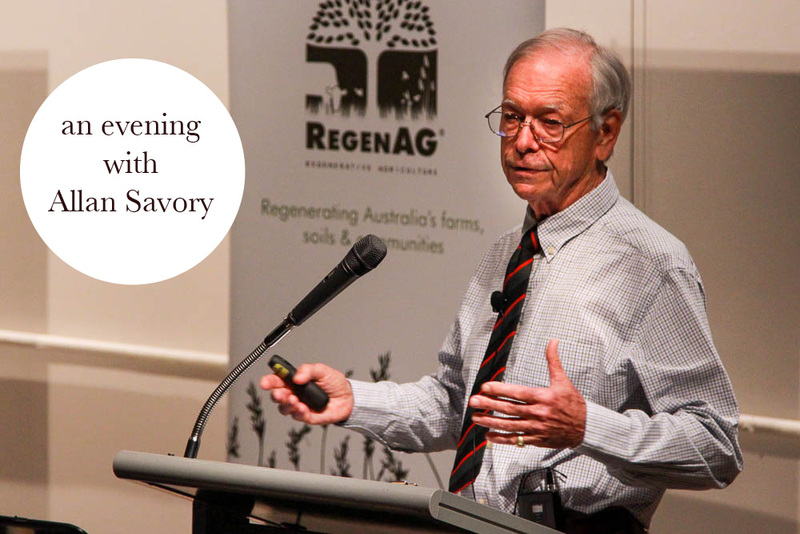 Savory framed most of his talk around “the bigger issue” as he sees it – that of necessity to make decisions in a holistic way that take into account the environmental, social, economic and personal needs and concerns. Only from a place of holistic management of our lives, can we really begin to tackle the complexity of addressing climate change and desertification. Holistic management we are told, is not only for those caring for land, but for every vocation. We cannot expect institutions or politicians to make the change we want to see because they are incapable of doing so… It is down to us as individuals and as collectives or “hubs” as Savory puts it, to begin these movements of holistic, thoughtful, compassionate management of ourselves, the land and each other. I was challenged and moved by Allan’s hopefulness and sincerity. His retelling of past experiences as a young man in Africa were fascinating to hear; years he spent in the army, and then as a farmer, also as an aspiring politician, in exile and then as a facilitator and teacher in America. I am struck by how much he has done in his lifetime thus far! 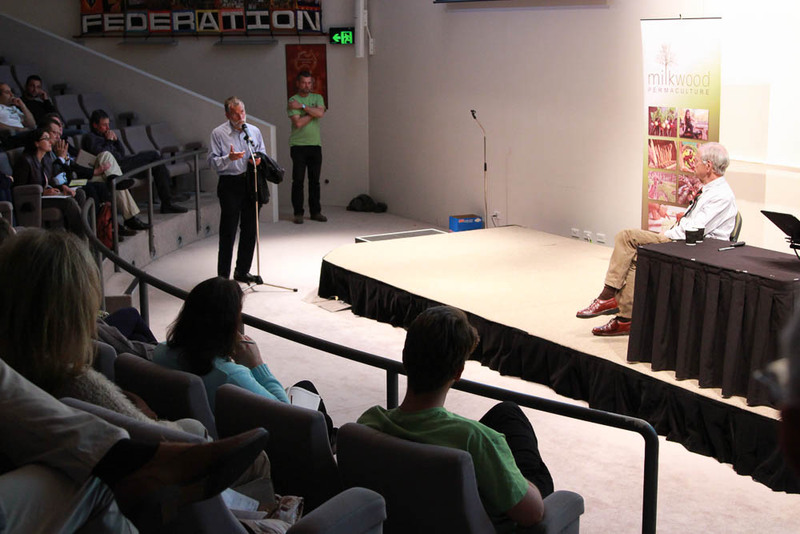 Allan seems so personable and relaxed – especially in the way he graciously and thoughtfully responded to questions after his talk – and letting them go for an extra thirty minutes! Shortly after it all finished, a sea of listeners descended on Allan to shake his hand and thank him. You see, this is the kind of man who gets fans not because of his celebrity status or daring stunts – but because of his sheer determination and genuine love for an environment in danger.